The last few months have been exciting for Revelation Online and its community. We’ve added new features and continue to polish the game, we’re constantly looking to ensure a high-quality gameplay experience for our community. Recent upgrades to our servers and upcoming localizations of the game will be making population merges are necessary and a very positive event for the community. Merges will take place on June 14th! We have made huge improvements into our server infrastructure to ensure stability and capacity. Our servers can now efficiently host many more players than they originally could. A large and well-populated server has the highest benefits for the community: It allows for more opportunities for old and new players to have more competitors in PvP content be that in Battlegrounds, Clan Wars, Guild Tournaments and even open-world PvP. 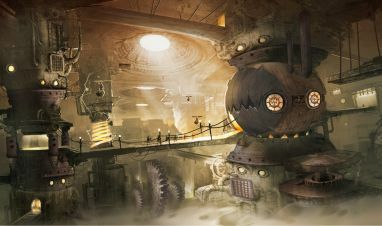 Players who enjoy PvE content such as raids and dungeons will be able to find groups much more easily for larger and harder content such as the 20-man instances. With the upcoming localization into French and German we are wanting to make sure our current EN servers are well populated before the FR and DE servers are added to the roster. For the launch of new language servers, it is common that a lot of new players will want to join the new French and German servers and that some current players will want to start fresh new characters in the server of their preferred language. Once players who have previously been playing on the EN servers migrate to the FR and DE servers the population will go down, this is something we strive to avoid and allow our community to get the best experience by keeping the population high. If we did not merge the servers and we launched the FR and DE servers players would find that they may struggle to find groups for content quickly - this is something we are avoiding by choosing to merge and keeping the population high. In addition to the merge, we will be releasing a new server in the NA region for new players named Divine Overlook. 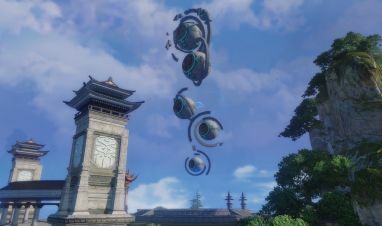 This server will allow new and old players alike to start a fresh new journey into Nuanor by having a clean slate when it comes to economy, seal-breaks to tackle, along with everything else Revelation Online has to offer. We are currently not planning to create a new EU server due to the preparation of the upcoming FR and DE servers. This will be looking into once these servers have been released. Please read our FAQ for details on the server merge. There aren’t any. All servers will go down for maintenance, after which servers Corral, Eventide, Muroc and Tusenwood will be removed from the list of available servers, and all the characters from that server will be transferred to their respective server which was previously mentioned within this article. After the merge the server will use the main servers Chronicle and all of the characters transferred to the server will be able to play in accordance to that server’s progress as well. Progress will stack between servers. If Moonsea for example had 50 people on the Cultivation Seal, and Corral had 20, this will give a total of 70 on Moonsea once the merge takes place. Learn more about the upcoming plans for the Server Merge’s & Server-First resets!